This piece was inspired by a novel about a WW II tank and its crew, temporarily cut off in a railroad tunnel shortly after German hostilities commenced in Belgium in 1940. 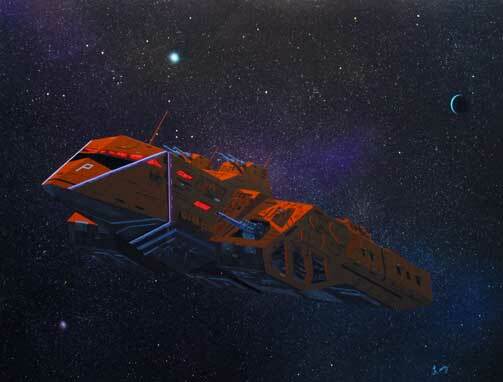 The "light gunship" depicted here has characteristics not unlike those of a heavily armored tank. Original  Acrylic on masonite board. Original  30" x 24"
Print  13.5" x 10.5"